Dr. Hailun Wu always appreciates feedback from her valued patients. To date, we’re thrilled to have collected 14 reviews with an average rating of 5 out of 5 stars. Please read what others are saying about Dr. Hailun Wu below, and as always, we would love to collect your feedback. 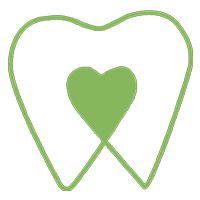 My life and health have changed for the better, since I began visiting Greenwood Smile Dental. I would recommend Dr. Wu and her staff to anyone looking for a caring, thorough dental experience. Dr. Wu was extremely thorough with her first time evaluation of me. I learned things about my maxillofacial/oral health that 20+ years of going to a dentist has never revealed. I highly recommend going to see her, and going as far as changing your provider. I’m a happy patient. Exceptional!!! I am normally terrified at the dentist but am not with Dr. Wu and her Assistant!!!! Dr. Wu is very gentle and answers all questions and explains everything clearly. Friendly warm welcome. Prompt and delightful service. Always professional, with a wonderful receptionist! Clean offices, prompt appointments, And always very nice. Greatest dentist that I ever met so far! 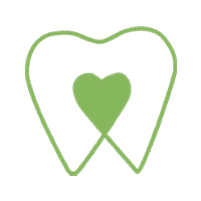 I have seen Dr Wu over the past 8 years for numerous dental procedures. I trust her completely. She has a gentle touch and incredible technical skills. I highly recommended Dr Wu. My last visit for a cleaning was great. After several years under Dr. Wu's care my dental health is better in my 70's than ever. Always pleasant to see Dr Wu, and she and her staff are a professional and caring team. My 4 -year-old son loves to go there as well. I've been under Dr. Wu's care since I moved to Seattle 4 years ago. She is very knowledgeable and an excellent dentist! She takes good care of her patients and her staff is also friendly and helpful. I couldn't be happier with my experience at Greenwood Smile!